AquaSalina® is a natural saltwater solution produced from ancient seas dating back to the Silurian age almost 425 million years ago. The ancient sea, rich in marine life and dolostone provide a fierce frontline tool for our professional snowfighter’s battle against snow and ice bonding to roadways. The source water, which comes from the Appalachian Foreland Basin stretching from New York to Georgia, naturally contains a combination of sodium, calcium, magnesium, and potassium chlorides perfectly balanced by nature. 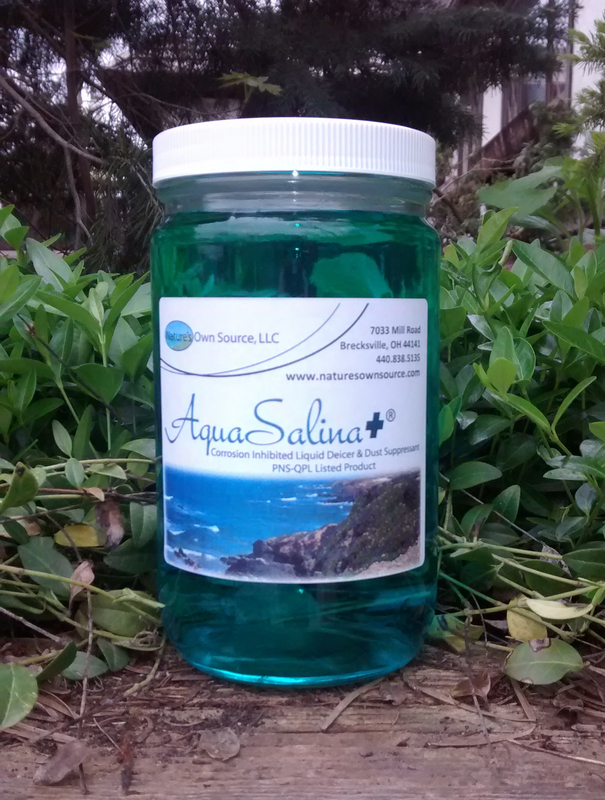 Nature’s Own Source purifies the saltwater solution to five micron, removing iron and other impurities. AquaSalina® or AquaSalina+® can be used effectively for pre-treating (anti-ice) the pavement ahead of a storm, deicing, or pre-wetting rock salt at the spinner. Our water has been certified to freeze points of -15°F so applying the treated rock salt to the road is effective at low temperatures. AquaSalina® or AquaSalina+® containing a great balance of chlorides provides you with superior performance in the most difficult storm conditions. AquaSalina® or AquaSalina+® are different products because AquaSalina+® contains a proprietary corrosion inhibitor, meeting the rigorous environmental, friction, and corrosion testing requirements of the Pacific Northwest Snowfighters Association (PNS). AquaSalina+® is certified and approved as a Qualified Product List "QPL" Listed Product for the Clear Roads organization, which partners with 36 DOT's, including Ohio, who rely on this product certification. 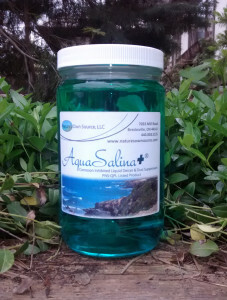 AquaSalina+® is 70% less corrosive than man made salt brine. The choice of which product to use is dependent on the customer's own needs. Anti-icing is a treatment strategy aimed to prevent ice from bonding to the pavement surface or “black ice” formation, or as a pre-wetting solution to wet rock salt, which reduces “bounce” keeping more salt on the roadway. To achieve anti-icing, AquaSalina® or AquaSalina+® can be applied to the roadway up to 24 hours in advance of a storm, depending on weather conditions, to assist in the prevention of ice bond to the pavement. Both are hygroscopic in nature, drawing moisture from the air which keeps AquaSalina® or AquaSalina+® on the road surface in a slightly wet appearance, leaving behind an anti-icing coating that prevents moisture from bonding to the road surface. Application rates for pre-treating vary somewhat but are typically 8–10 gallons per lane mile of salt, and for anti-icing 30–50 gallons per lane mile, both depending on the operator and pavement condition. AquaSalina® or AquaSalina+® has been approved for application to bridges prior to freezing, icing, or other winter weather conditions. They can also be applied in heavier amounts to deice ramps and bridges that are frozen over. Application rates and timing will depend on current and forecast roadway temperatures, and precipitation. 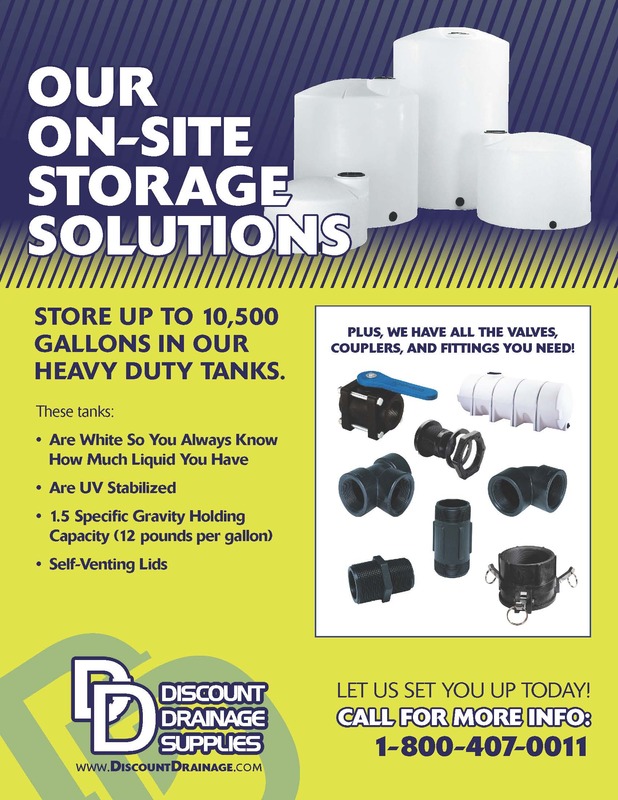 Our products are manufactured in Cleveland and Mogadore, Ohio, ready to use and can be picked up or delivered into your tanks within 24–48 hours. With AquaSalina® or AquaSalina+® you Just Load and Go!